On this page, you will find the Official Panasonic GD25C Stock Firmware ROM (Flash File). The Firmware comes in a package and contains Flash Tool, USB Driver, Flash File, How to Flash Manual and IMEI Tool. 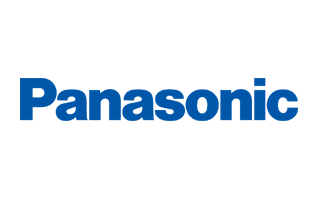 The Panasonic Stock Firmware can be used to upgrade or downgrade the firmware of your Panasonic device, fixing any software related error, fixing IMEI related error, fixing bootloop error. Step 1: Download and Extract the Panasonic GD25C Firmware Package on the Computer. Step 2: Once you have extracted the Package, you will get the Flash File, Flash Tool, Driver and How-to Flash Manual. Step 4: Once you have successfully installed the Driver, Open Miracle Box Flash Tool on the Computer. Step 5: Once the Miracle Box Flash Tool is Launched, Connect your Device to the Computer by using the USB Cable. Step 6: Now, Click on the Start Button on the Miracle Box Flash Tool to begin the Flashing process. Step 7: Once the flashing is completed, you will see a Upgrade Successful Message at the End. Step 8: Now, Disconnect your Panasonic GD25C Smartphone from the Computer and Restart the Device. [*] Backup: We recommend you to take a backup of your personal data and information before flashing the Stock Firmware, because flashing the stock firmware may permanently delete your personal data from the device and you wound be able to recover it. [*] Original firmware: The above firmware is the original flash file, released by the Panasonic Inc. We have scanned the firmware with Eset Internet Security before uploading and publishing. Copyright © 2018-2019 Panasonic Firmware. All Rights Reserved.